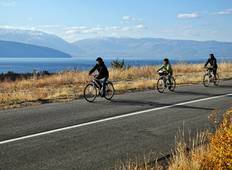 Find the right tour for you through Saint Naum. 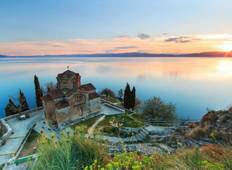 We've got 11 tours going to Saint Naum, starting from just 3 days in length, and the longest tour is 15 days. The most popular month to go is May, which has the most number of tour departures. "On arrival, I was informed that I was the only person booked on the tour. Consequently,..."
"This trip is great value for money and such fun. Would definitely recommend to singles..."
"Bojan did an excellent job in keeping the group on schedule and was very accommodating..."